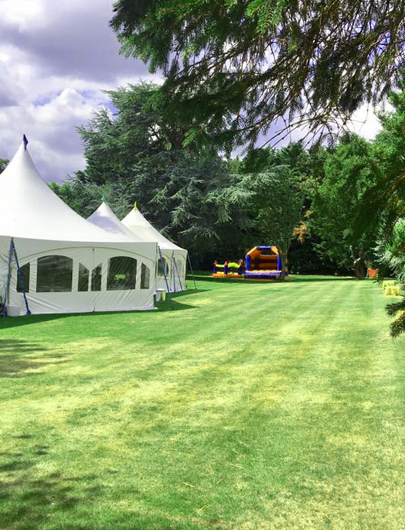 For many different kinds of event, you will often have a need for an outside area as well as the interior. This is typically a powerful way to make a wedding or party feel much more complete. 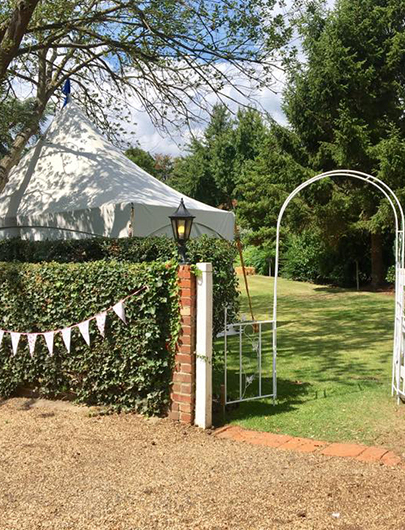 Fortunately, the Red Brick Barn & Sutton Hall has its own garden space which you can hire out at the same time, making it a great way to complete that special day. The garden area is ample, with more than enough space for marquees. If you are planning something along the lines of a summer wedding, this could be the perfect outdoor space for such an occasion. Or maybe you are considering an alternative rustic sleeping arrangement for your guests. In that case, you can set up a large number of teepees in the garden area - a great way to house everyone while feeling a part of the English countryside. Of course, if you prefer to host your event solely outdoors, the garden is more than spacious enough to make that a possibility. Whatever your plans might be, don’t hesitate to get in touch today, and we can discuss your plans for the beautiful garden area at Sutton Hall.